Welcome to the JVNP 2.0 Update featuring a JV request courtesy of fellow JVNP 2.0 Partner Eben Pagan (The Virtual Coach 10 week coaching practice training program high ticket affiliate program JV invite), Buzz Builders (Steven Johnson, Josh Carter + The CMC Team – Copy My Cashflow launch), and More … in Today’s making coaching practice dreams a reality with Eben’s Virtual Coach program edition. Join us from Sept 21st – Oct 4th for the launch of our brand-new coaching course!! 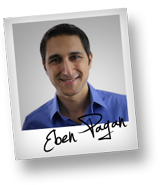 The Virtual Coach Program, taught by Eben Pagan and a variety of expert coaches, will give your audience a comprehensive system to help build a coaching practice they truly love within 10 weeks. There will be solid commissions and HUGE prizes! Short on Time? Jump right on over to the Affiliate Registration page. The Virtual Coach offers a comprehensive system to help build a coaching practice that your audience will truly LOVE. If they’re just starting out, the Virtual Coach will give them everything they need to become a coach and launch their coaching practice in just 10 weeks. If they’re already a coach, the Virtual Coach can exponentially increase their coaching skills and help them build a powerful system for getting all the clients they need online. The Virtual Coach System has 7 Key Parts. When you link them all together, they work in perfect synergy to create a “Next Level Coaching Practice”… a practice that has the power to transform lives all over the world. In the Virtual Coach, we’ll be helping your referrals learn and install the 7 Key Parts of the Virtual Coach System over the next 10 weeks. They’ll get 10 weeks of coaching classes with Eben and his expert faculty. Participate fully in the classes and they’ll get all 7 parts of the Virtual Coach system up and running in just 10 weeks. There are multiple days and times available for all the classes. There are even classes available on the weekends and at night, to work around their business schedule. If they do miss a class for some reason, every class is recorded and placed in their Virtual Coach member’s area. Upon completion they will receive their Virtual Coach certification. Product cost is $1997 (with an available payment option). Pre-launch will begin on Thursday, September 21st 2017. Pre-launch Content 1 on the 21st, PLC 2 on Monday the 25th & PLC 3 on Thursday the 28th. Live Webinar on Monday, October 2nd. Cart Opens on Tuesday, October 3rd. Cart Closes on Thursday, October 5th. Commissions are 40% of net sales. Commissions will be paid out 45 days after the cart close. Your affiliate link & swipe Copy will be sent to you the day prior to each video release. We will be offering another killer sales contest with a $100,000 cash 1st place prize. More prizes and contests will be released closer to the date of the launch. >>> Visit the Affiliate Registration page. Earn Over $200 Per Customer & Up to $5 EPCs … $10,000 Launch Contest! Earn Over $200 Per Customer & Up to $5 EPCs! This offer has been tried and tested and converts on all types of traffic such as: Biz Opp, IM, MMO, Binary, Forex, Health, Personal Development, Lottery, etc… $10,000 Launch Contest! Steven Johnson, Josh Carter + The CMC Team – Copy My Cashflow JV page. Earn up to $670+ Commission/Buyer + Cash Prizes! Make up to $670+ commission/buyer + cash prizes with Copy Immersion Pro from Collin Almeida & Pat Flanagan! Your buyers get the best salescopy resources & tools for a huge savings. All products are 100k+ proven sellers at never-before-offered savings. Full information at JV page => Collin Almeida + Pat Flanagan – Copy Immersion Pro JV page. The Offer Did $16/EPC Overall and 6 Figures During The Testing Phase … ALONE! ProductDyno is a brand new way to efficiently deliver ALL of your digital content, license software, plugins and more without the headaches of using complex, limiting or expensive software services. The offer did $16/EPC overall and 6 figures just during the testing phase. For complete launch details please visit the JV Page => Simon Hodgkinson + Jeremy Gislason – Promote Labs – Product Dyno JV page. Earn Commission While Your Referrals Learn How to Master the Business of Short-term Rentals! AMS is a 3 day virtual summit gathering 20+ real estate & Airbnb experts teaching how to master the business of short-term rentals and runs from August 11th – 13th. All-access Pass (50% affiliate commission). $197 pre-summit. $297 during summit. $497 after summit. Once approved as an affiliate, swipe copy and promotional information will be provided. Affiliate registration => Eric D Moeller – Air BNB Mastery Summit affiliate registration page. JV With the Team Behind the Highest Grossing Launch in JVZoo History! $40,000 prize pool. 100% FE commissions. BlackBird is state-of- the art Amazon seller software & training that fuels over $10 MILLION in MONTHLY Amazon sales… JV prizes, swipes & more details here => Aidan Booth, Steve Clayton + Matt Carter – BlackBird JV page. Sonia Ricotti, Greg Jacobs, Jeff Walker, and other fellow JVNotifyPro 2.0 partners are waiting in the wings … keep your eyes on your Inbox, and follow the action in the JVNP 2.0 Premium VIP JV Announcement archives.